Giving your Dal a name that becomes him is the first and foremost decision you will make after you adopt. 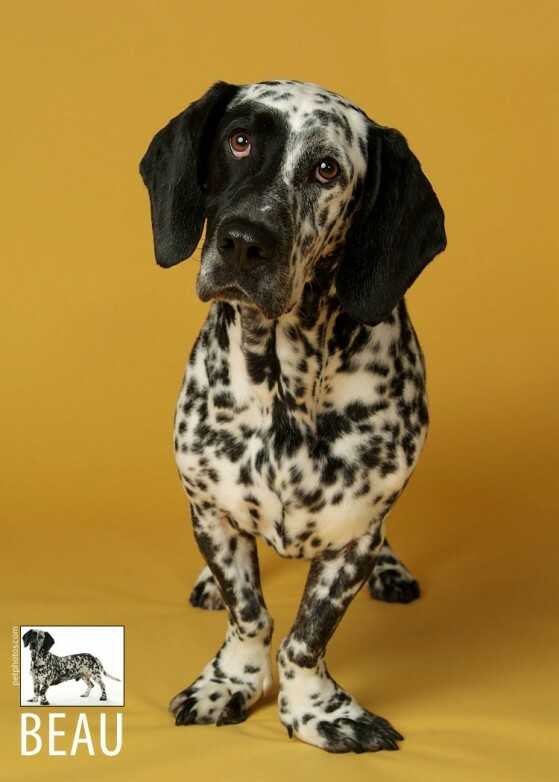 Most of our rescue Dalmatians come to us from shelters and often have no name at all, or have been given a generic one for the breed (Pongo, Dottie, Spot…). We generally rename dogs when they arrive in foster care. A new name is a great start on a new life. The names humans give their dogs are “an expression of our intense relationship with our dogs,” say Gerd Ludwig and Sharon Vanderlip, DVM, authors of 1000 Dogs Names from A to Z (Barron’s 2005). Whatever the choice, the name you use to call your dog reveals for him, for you, and everyone else in earshot, the deepest feelings and strongest emotions that you attach to this creature of another species. For your dog, his name means to him all the love you bear for him. It should never be used when speaking harshly, or to forbid or punish. An acquaintance once recounted to me that when her young son started speaking, he delighted in babbling to their dog, Lucy. The boy had been listening carefully and he knew just how to call her. Nolucy! Here, Nolucy. Ben’s mother was amused. I found it heart-rending. This was the name that Lucy, too, had learned, and she had undoubtedly heard it spoken most often when her mistress was angry with her. In April 2005, Dalmatian Rescue of Illinois volunteer Deb Trainor found a photo on Petfinder of a very sad and frightened dog in a small shelter in Georgia. If no one rescued him, he was going to be euthanized the next morning. Deb volunteered to find a way to have him released from the shelter and transported to Illinois. His name was Quincy, a common name for Bassets. Deb succeeded in her mission. On his way to Illinois, Quincy spent a week vacationing in Memphis with a friend and fellow rescuer, Nancy Campbell. Coming to understand what a magnificent dog she had with her, Nancy changed his name to Beauregard, to reflect his Southern heritage and gentlemanly manner. Authors Ludwig and Vanderlip ask that humans consider “the question of dignity” when naming their companion. Remember that the connotations of the name you choose will necessarily also be attached to yourself. Selecting a name like Dork, Doofus, or Dumbbell may amuse you, but you are in essence implying that you yourself deserve such a name. What sort of conversation can two dorks or dumbbells ever be expected to have? Patricia McConnell assures adopters in Love Has No Age Limit that dogs can easily learn a new name and will do so readily if it is associated with treats, play, and affection. Beauregard (handsome demeanor, in French) came to stay. In November 2005, he passed his Canine Good Citizen test and shortly afterwards became a registered Therapy Dog. His visits to the hospital delighted all and he continues to make friends and bring smiles wherever he goes. He brings joy to all. Beau has lived up to all the nuances, vibrations, echoes, and suggestions that his name embraces. And every time I say it, it reminds me of all the joy he has brought to our household and the warm and wonderful friends who helped to save his life nearly seven years ago. What a dapper dog Beauregard is! I can’t understand his being in that shelter. What a stunning boy! Thank goodness he fell into your hands, Susan. What a lucky boy. You were made for each other. Bravo!Pup Puppy and Dog Training We train puppies, dogs and their people. Care for Reactive Dogs CARE stands for Counterconditioning and Positive Reinforcement (R+) are Essential for reactive dogs. Companion Animal Psychology A blog about the psychology of dogs, cats and other animals, and their relationships with people. Peer-reviewed science and cute pics. Trainer Tails Trainer Tails, by Drayton Michaels CTC, is an ongoing series of stories from actual events involving professional dog training scenarios or from personal dog training sessions. The focus of these stories will be to highlight . . .
We have no Dalmatians available.